The MainSail Padded Sling Chaise Lounge is ergonomically designed with a lumbar-supported seating position, which provides long-lasting comfort and casual relaxation. Padded sling seating consists of two pieces of fabric, with padding, slung across the seat and back for optimum comfort. 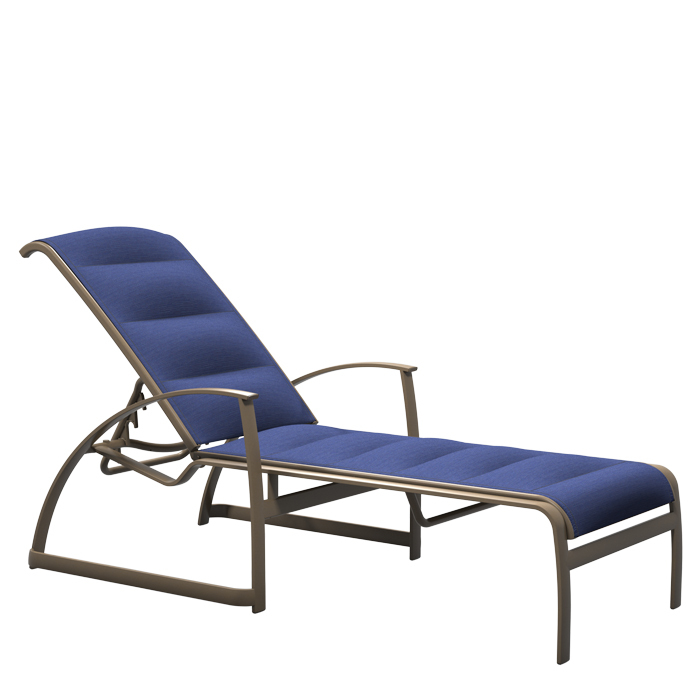 Whether lounging by the pool or relaxing in a cabana, the MainSail Padded Sling Chaise Lounge was designed to enhance outdoor living.